Key bounced off the keyboard. Hey, I managed to push my z key too many times and now the key is loose. Right now I can still use the key but the key is sorta just floating there. How do i put it back the way it used to be? A few illustrations would be swell. Re: Key bounced off the keyboard. If its been popping off for a while, the best thing would be super glue... if you dont think you've put it on correctly, take it to your local PC store (they should do it for free, or want like 5,10 bucks), or you can buy a new keyboard. Bluetooth Pairing / Connection / Setup for the BT8A bluetooth mini keyboard with touchpad. I bought the BT8A "bluetooth mini keyboard with touchpad" several months ago. Im not sure if you have to let go of the "Fn" key or keep it pushed only once and stay on it. While pushing it push 3x the operating system key. Btw: the manual doesnt say anything about the connection / pairing procedure. Try going to Device Manager. 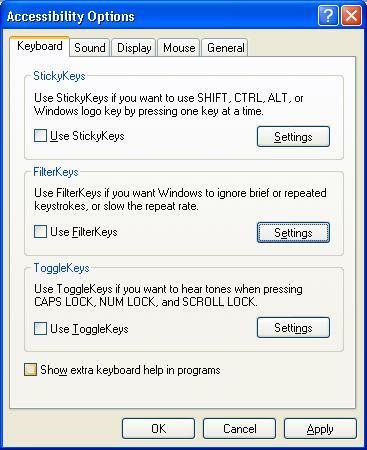 Right click on the Keyboard and choose Properties. Click on Update Driver as it might find something (let it look online also). Reboot the computer. If that doesn't work, go to Device Manager, right click on the keyboard, choose Uninstall, and reboot the computer. When the computer starts up and sees the keyboard and loads a driver(s) for it, it might fix it. Good luck. NumLk (Numbers Lock) has been turned on. Pushing U I O P results in 4 5 6 * and pushing J K L results in 1 2 3. NumLk allows a block of keys on the right side of the keyboard to function as a numeric keypad to facilitate easier entry of numbers or numeric related data. There is an indicator that will be on when NumLk is on. To turn NumLk off, you need to push the key that has NumLk on it. It may be combined with a function key in which case you will need to hold down the Fn key while pushing the NumLk. If you manage to push the right key(s), the NumLk indicator should turn off and the keyboard will revert back to its normal operation (without the numeric keypad). When my logtch does that is usally is a stuck key. It can also be a low battery or the antenna is too close or too far away. Most of the time its a stuck key. turn it upside down and knock on it like you are knocking on a door. that usually will jar the keey loose. 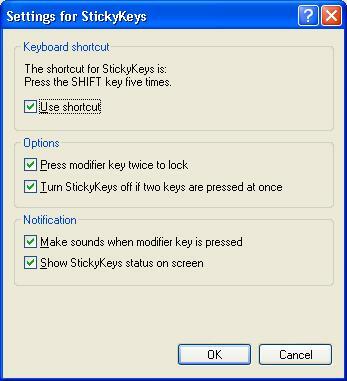 you may be able to find the stuck key by pushing on them and see which one doesn;t pop back or feel right. Don;t try to pry it loose do the knock. If the battery has just enough power left you can get some wired things happening but usually it just stops working. Move the antenna so that it is about a foot away and is clear line of sigt from the keyboard to the antenna. You may want to reset or reconnect using the button on the antenna and the bottom of the keyboard. 9 out of 10 times its a stuck key. The shift key on my laptop keyboard has stopped working. I removed it to try to fix and now can't get it back on. In most laptop keyboards, attaching keys is pretty painless. Try to attach little plastics to the laptop first and once they're sitting clipped in try to attach the key. Just put the key in the right place and push it down. You should hear noticeable "click" once it's in. Do not hesitate to ask more questions in case you need further assistance. Fixya team will be more then happy to help you. Good luck. The key is stuck you have to be very careful if you are going to attempt to repair this.Turn the computer off and remove the battery before you attempt to repair it.Try prying it up with a thin knife blade.If this pops up and is working make sure it works as good as the other side.If not you will have to replace the palmrest. The speaker will beep when a the Keyboard buffer is full. Many times this is due to a key that is stuck in the down position. With the computer off, run your fingers over all of the keys, and note that the keys "bounce" back up as you release the pressure from your fingers. Any key that is NOT returning to the "up" position is stuck in the down position. Examine that key for any foreign matter that could be wedged between the keys. You may be able to CAREFULLY pry the foreign matter from between the keys using a paper clip that has been opened to form a stiff wire. Also try pushing down on the surrounding keys at you attempt to remove the object. Once the object is removed, turn the keyboard upside down and shake. I think you'll be surprised at how much dirt and other "stuff" comes out from behind those keys. A small air compressor or can of compressed air will also accomplish this. Just be sure not to turn the can of air upside down or you will also expel the propellant from the can which can damage the keyboard and/or computer. On another note, it is also a posibility that the membrane which holds the keys in the up position is broken which would require you to replace the keyboard itself. 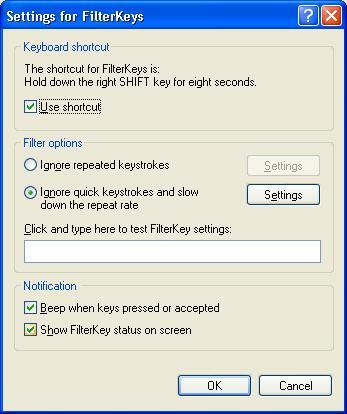 Repeat Keys and Slow Keys: The computer will ignore brief keystrokes according to the time limits you set. To access these Options and turn them off or on, go to your Control Panel– click Start >Settings >Control Panel >Accessibility Options. I mentioned that shortcuts ‘activate’ these features — such as Tab+Enter, and a couple of Alt+a letter– and so you may have turned them on unintentionally. My keyboard keeps typing numbers where there is letters on my laptop, can you help? hey there, I am not sure what kind of keyboard you have but try pushing the "fn" button or press "fn" and num lock at the same time or just num lock by itself. If you don't have num lock, you may need to plug in an external keyboard. let me know how you make out. Have a manual for Fujitsu LifeBook T4020 Notebook?